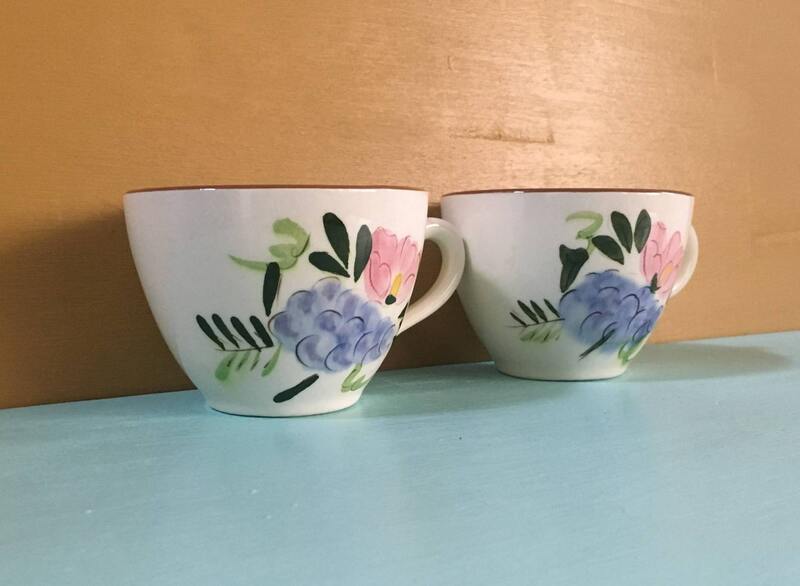 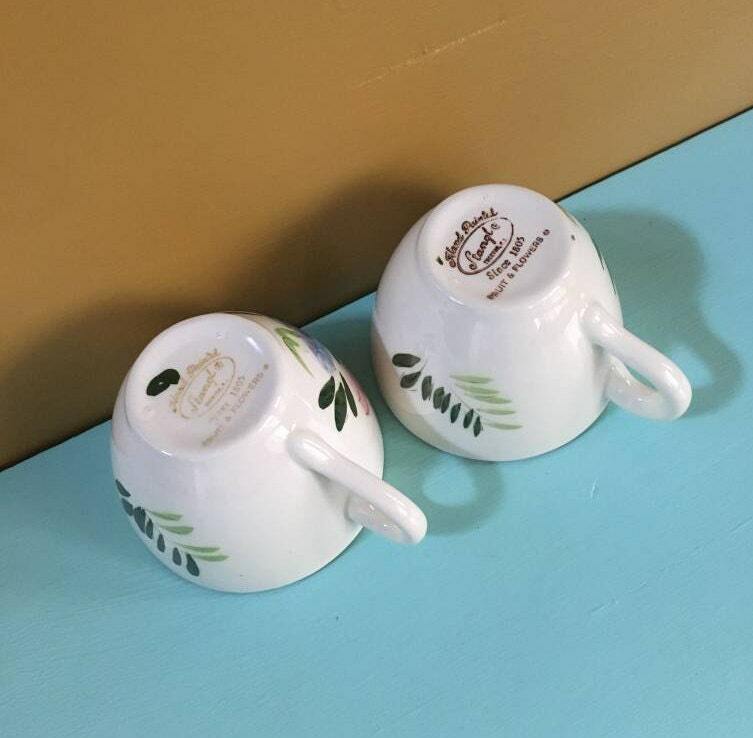 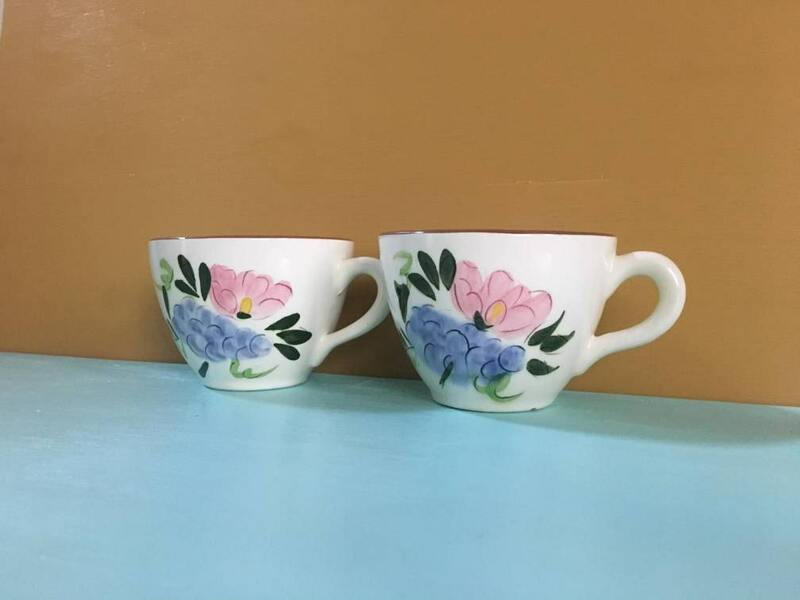 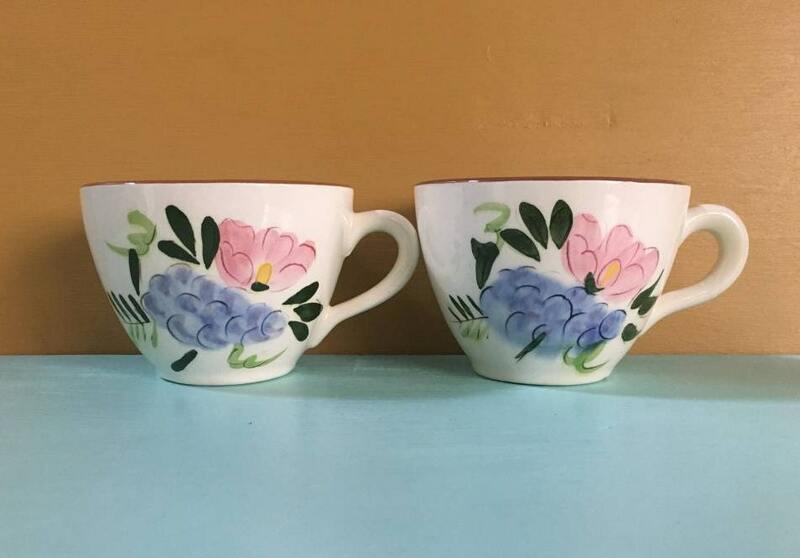 Vintage 1950s pair of white ceramic tea cups / coffee mugs with cute, hand-painted pink & blue floral & fruit design. 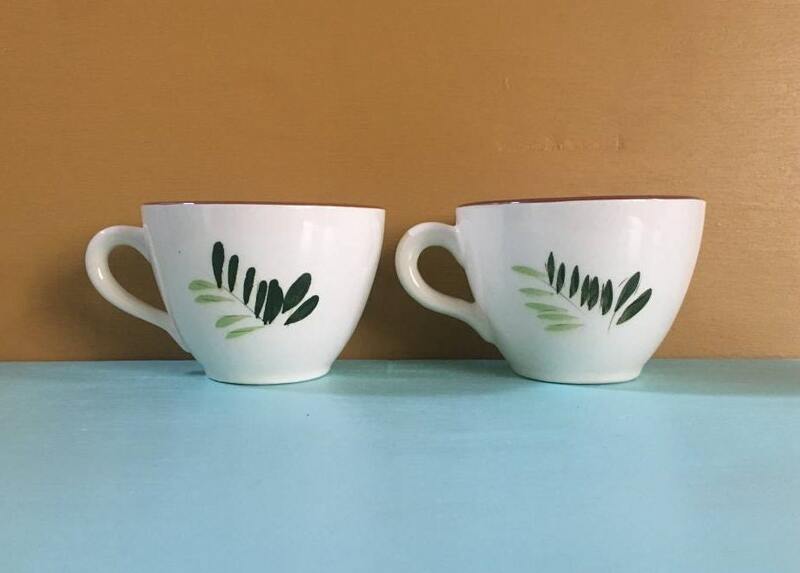 Near perfect vintage condition; light wear from age and use. 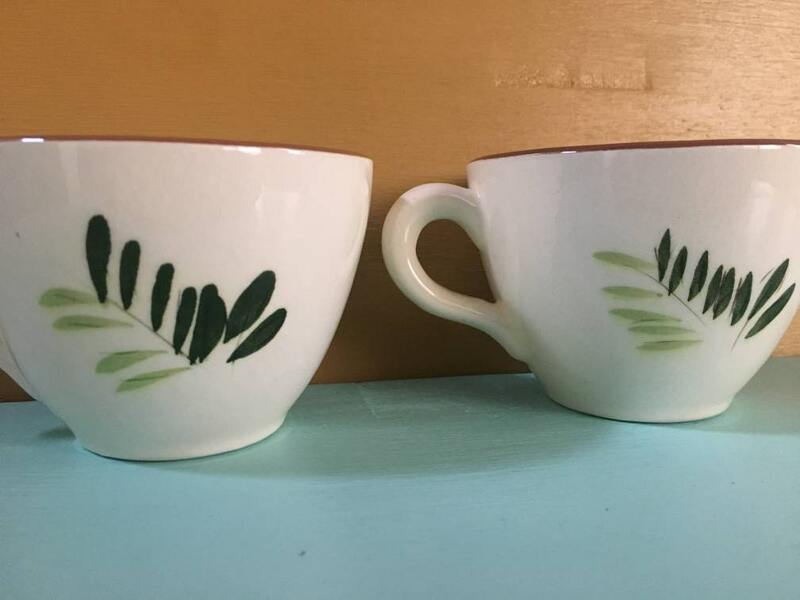 Light discoloration on bottom inside of cups (pictured). 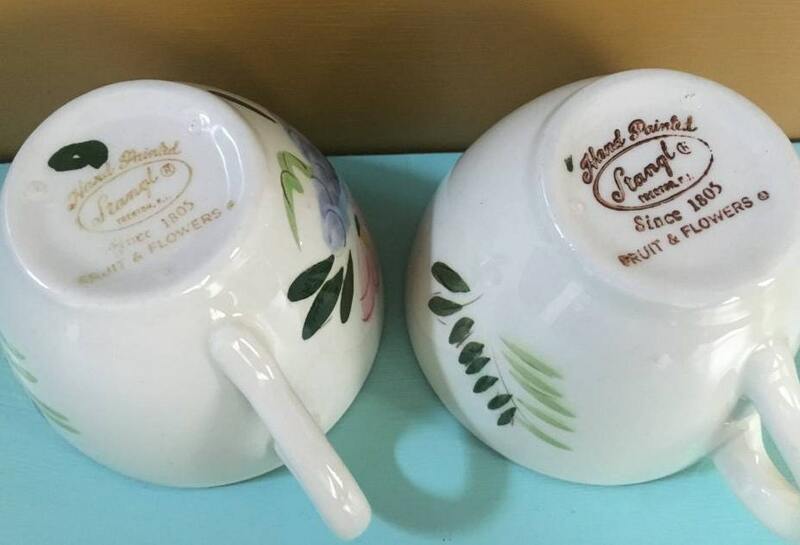 No chips, cracks, fading, chipping, markings, stains or other issues / damage other than noted. 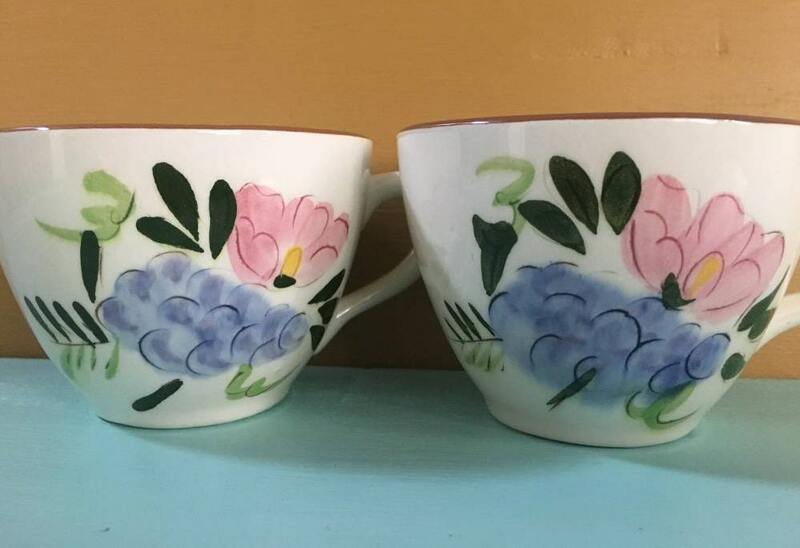 Hand-painted pink flowers, blue / purple fruit and narrow green leaves on one side of each cup, and just green leaves on the other side. 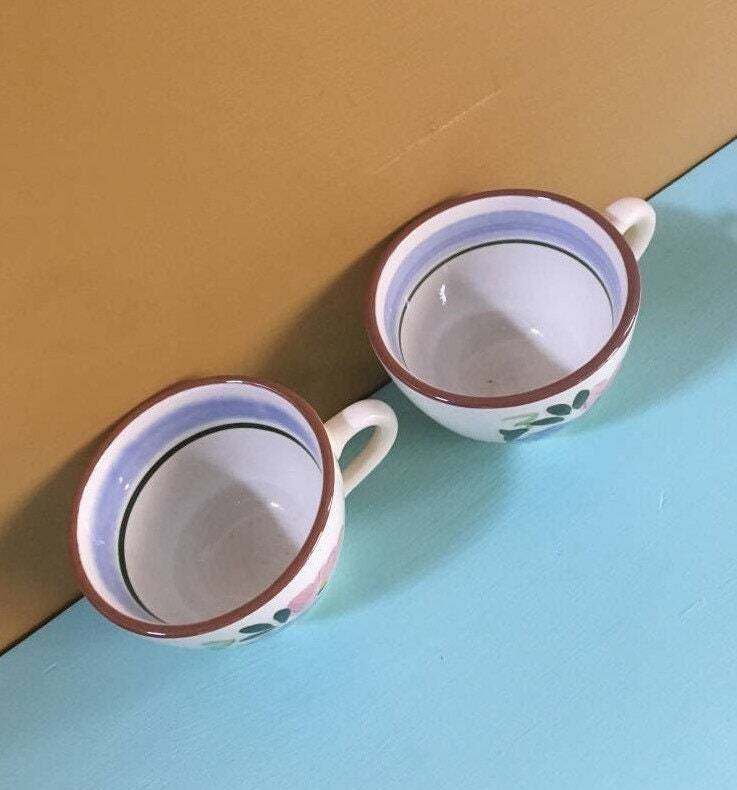 Both cups have brown and blue stripes on inside. 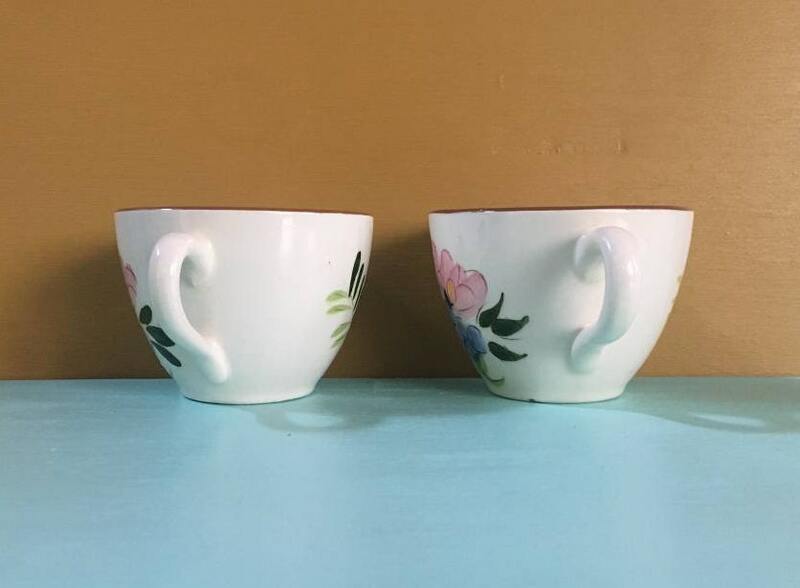 Made by Stangl (see photos of bottoms of cups).